Friulair has enhanced its AMD series, evolving it into AMH synonymous with quality/performance at high temperature. It incorporates a drier and aftercooler in a single unit; its strongpoint is that it includes all the latest technologies in a compact design without sacrifing perfomance in extreme operating conditions. 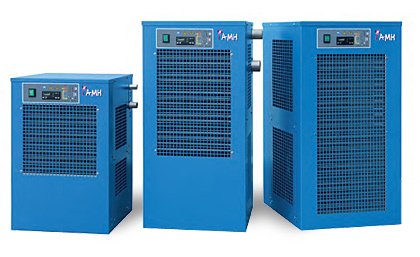 The AMH series was designed in the utmost respect for the environment thanks to the use of ecological refrigerant fluids and the choice of recyclable manufacturing materials.